If you have any questions about the AKHIR 145 information page below please contact us. This motor yacht AKHIR 145 is a 44 metre 143 (foot) large composite ship which was built by Cantieri Di Pisa and designed by Cantieri Di Pisa. AKHIR 145 was born as an evolution of the previous model of Akhir 140ft and has a similar philosophy, especially in the interior. Her stylish interior decor features sanded, darkened and waxed teak and natural leather ceilings in all rooms except the bathrooms, which are lacquered. AKHIR 145 is spread over three decks and has exceptional manoeuvrability and sea keeping qualities. Equipped with "zero speed" stabilizers that reduce body roll while underway and at anchor and capable of a maximum speed nearly 28 knots the AKHIR 145 is a luxurious and quick super yacht. Cantieri Di Pisa was the naval architecture company involved in the formal nautical design work for the AKHIR 145. Cantieri Di Pisa is also associated with the yacht wider design collaboration for this boat. In 2006 she was actually launched to triumph in Pisa and post sea trials and detailing was then passed on to the owner who commissioned her. Cantieri Di Pisa completed their new build motor yacht in Italy. Her core hull was crafted from composite. The motor yacht main superstructure is made mostly with composite. With a width of 8.3 m or 27.25 ft AKHIR 145 has spacious interior. She has a shallow draught of 1.9m (6.25ft). Installed with twin MTU diesel engines, AKHIR 145 is able to reach a top speed of 28 knots. AKHIR 145 is propelled by twin screw propellers. Her total HP is 7400 HP and her total Kilowatts are 5445. Total engine power output 7400 HP /5445 KW. Around Sept 2009 AKHIR 145 visited Villefranche-sur-Mer, in France. 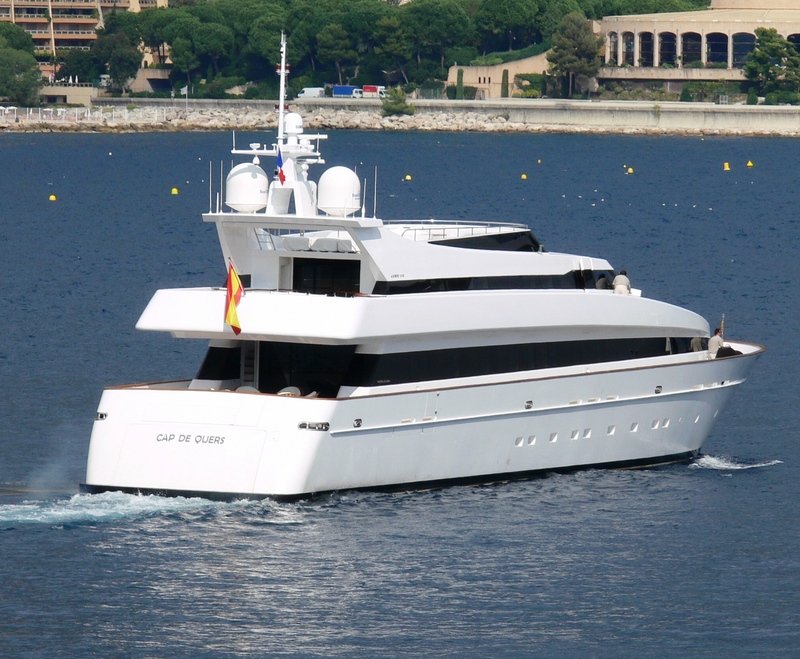 AKHIR 145 also cruised the cruising ground encompassing Département des Alpes-Maritimes during October 2009. This motor yacht has a teak deck. 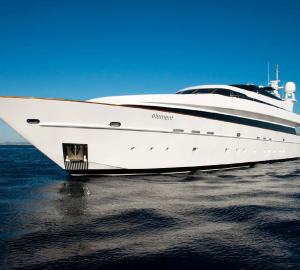 The luxury yacht AKHIR 145 displayed on this page is merely informational and she is not necessarily available for yacht charter or for sale, nor is she represented or marketed in anyway by CharterWorld. This web page and the superyacht information contained herein is not contractual. All yacht specifications and informations are displayed in good faith but CharterWorld does not warrant or assume any legal liability or responsibility for the current accuracy, completeness, validity, or usefulness of any superyacht information and/or images displayed. All boat information is subject to change without prior notice and may not be current.